Multi-sensor inspection (MSI) refers to the collection of data from multiple sensors on one robotic platform in one pass through a pipeline. Using this technology, our technicians can collect and process data on internal pipeline conditions, including debris level, ovality, H2S corrosion, lateral location, and damage without requiring flow diversion, flow interruption, or manhole ring removal. 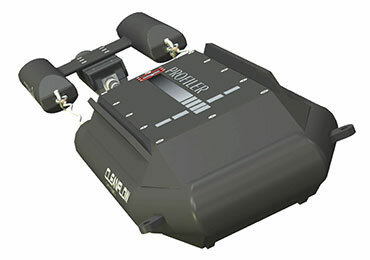 Our battery-operated, floating robot can collect HD images from an HDCCTV camera, along with sonar and laser data during one inspection pass through the line. Our technology allows float through continuous inspections of up to 6,000 linear feet. 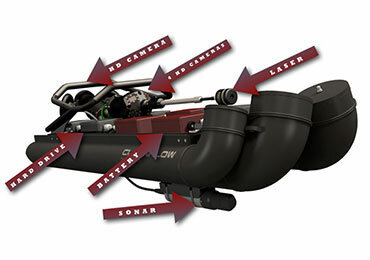 Combination sonar and/or laser profiler provides true 360-degree report of conditions during active flow. Digital reports with digital images provide significant detail to detect and rank defect severity, as well as establishing a timely and most economical rehabilitation solution. A multi-laser pipe profiler for measurement of h2s corrosion, ovality, debris quantification, and internal pipe conditions with an accuracy of +/-.001% of pipe diameter. Battery-operated units do not require power or data cables. All tv, laser, and sonar data is stored on board the float. 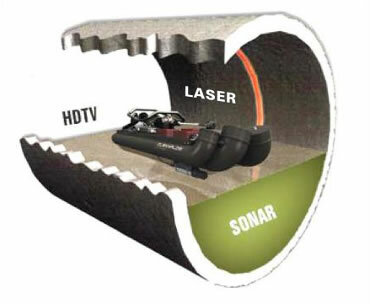 Our TV/sonar float is made of strong, lightweight aluminum to which our specialized CCTV live feed pan-tilt-zoom cameras and sonar units can be mounted; allowing both CCTV and sonar data to be collected in one inspection pass through the pipeline. 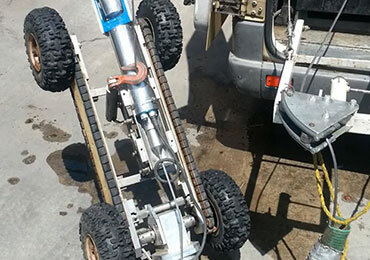 We have tracked and wheeled platforms in a variety of sizes to which CCTV cameras and sonar heads can be mounted. These units are best used in pipelines that have little or no water flow. In full or partially full pipelines this highly advanced sonar unit can provide an accurate profile of pipe conditions, including pipe defects, and debris quantifications in 18” and larger pipelines and siphons.